Local businesses and families can discover new strategies for sustainability at Northbrook’s 29th Earth and Arbor Day celebration on Saturday, April 13. From 9:00 a.m. to noon, the Village Green will be filled with Earth-friendly products, conservation ideas, children’s activities, and entertainment. The event, which is presented by the Village in partnership with the Park District and Northfield Township Road District, is open to the public and free of charge. A central highlight of the Earth Day event is an expo of local and regional exhibitors, promoting eco-friendly ideas and concepts for homes or businesses. Among the exhibitors will be Chamber members, Advanced Disposal Services, Align Wellness Center, Body Fusion Chiropractic, ComEd, Costco. Heartland Animal Shelter, Northbrook Farmers Market, Northbrook Park District, Northbrook Public Library, NorthShore University HealthSystem, Norwex, Reds Garden Center, and UL. Participants will demonstrate new technologies, explain renewable energy concepts, and offer free information and giveaways. New this year, a Speaker’s Bureau will be held featuring speakers discussing various conservation topics. Businesses and organizations interested in exhibiting at the expo should contact Erik Jensen, erik.jensen@northbrook.il.us or (847) 664-4129. Earth Day is a great opportunity for spring cleaning, with free recycling assistance available in the commuter parking lot on the west side of the train station. Acceptable recyclables include: paint (oil and latex only); molded Styrofoam; tires; CFL, LED and tube fluorescent bulbs; printer cartridges; household batteries; computers; TVs and other electronics; scrap metal; cardboard; and bicycles Residents may also bring up to three bags of documents for free shredding services. For the most current information on Earth Day activities and events, visit the www.northbrook.il.us/earthday. 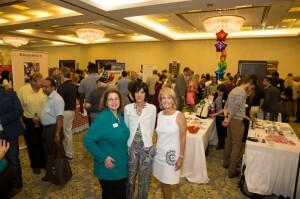 Save Your Space in the Multi-Chamber Business Expo!